“Change is coming, whether you like it or not!” The 15-year-young Swedish Greta Thunberg warned the world leaders at the COP24, held in the month of December 2018, in Katowice, Poland. Greta Thunberg shook the world leaders with her valid and logical speech at the COP24. 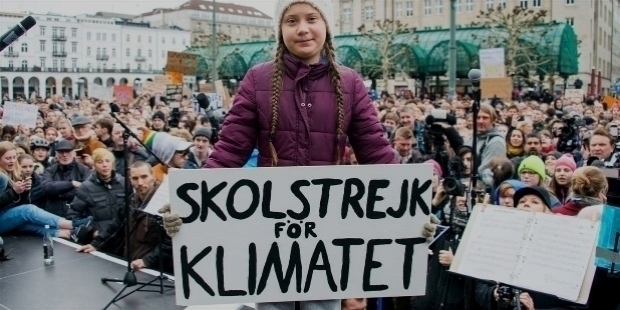 She addressed the gatherings, “My name is Greta Thunberg. I am 15 years old. I am from Sweden. I speak on behalf of Climate Justice Now. Many people say that Sweden is just a small country and it doesn’t matter what we do. But I have learned, you are never too small to make a difference. And, if a few children can get headlines all over the world just by not going to school, then imagine what we could all do together if we really wanted to. But to do that, we have to speak clearly, no matter how uncomfortable that may be. You only speak of green eternal economic growth, because you are too scared of being unpopular. You only talk about moving forward with the same bad ideas that got us into this mess, even when the only sensible thing to do is pull the emergency brake. You are not mature enough to tell it like is. Even that burden you leave to us children. But I don’t care about being popular. I care about climate justice and the living planet. Our civilization is being sacrificed for the opportunity of a very small number of people to continue making enormous amounts of money. Our biosphere is being sacrificed, so that rich people in countries like mine can live in luxury. It is the sufferings of the many which pay for the luxuries of the few. The year 2078, I will celebrate my 75th birthday. If I have children, maybe they will spend that day with me. Maybe, they will ask me about you. Maybe, they will ask why you didn’t do anything, while there still was time to act. You say you love your children above all else and yet, you are stealing their future in front of their very eyes. Greta Thunberg has inspired the school children of the world to a massive proportion and the world leaders are shamelessly hiding their faces for not doing anything to control climate change. 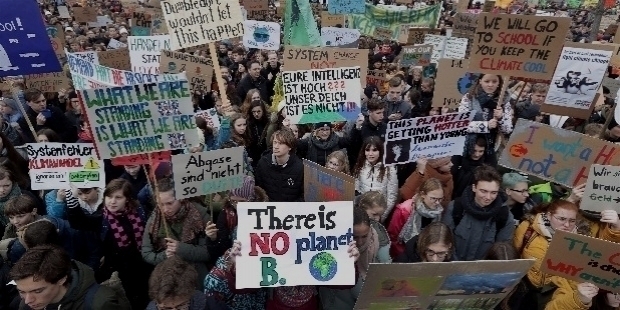 On the 15th of March 2019, school children around the world took to streets demanding politicians to bring their respective country in line with the Paris Climate Agreement. The world witnessed massive demonstrations by school children in as many as 112 countries. 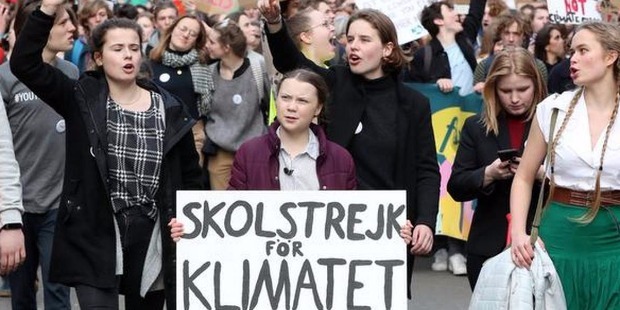 The March 15 School Strike for Climate saw thousands of school children occupying the streets with placards and banners in various cities of Sweden, UK, USA, Australia, France, Germany, Ireland, Uganda, Thailand, Colombia, Poland, Africa, Asia, Latin America, New Zealand and many others. 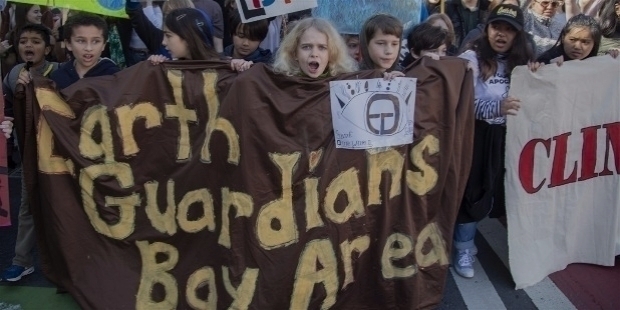 The children are rising to safeguard their future. It is ironical a 15-year-young had to teach the brainless world leaders about the dangers of Climate Change. And, shamelessly enough, they are not taking any concrete steps to ‘pull the brake’ as Thunberg stated. Great Thunberg has become an international icon for Climate Change. Her magnificent quest has lit a spark in students to demand strict mandatory actions from politicians and world leaders to safeguard the future of the children. 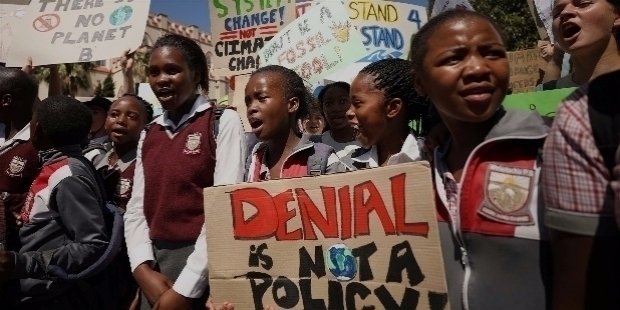 The adults are so scared of the school children rising that they threatened them before the March 15 School Strike for Climate on various social platforms, instead of encouraging their students to demand action from leaders of the world. 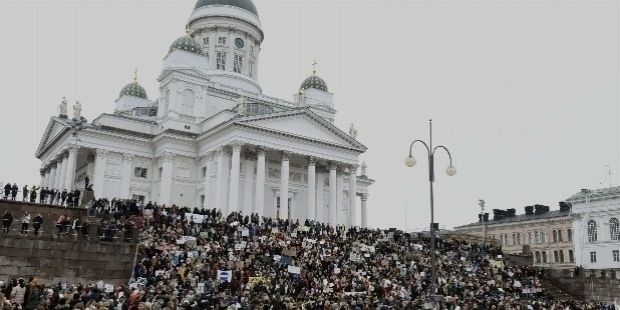 It was in August 2018, when Greta Thunberg began her one-student-crusade in front of the Swedish Parliament and boldly accused lawmakers for failing to uphold their commitments to fight Climate Change under the Paris Climate Accord. The world took notice of this diminutive figure, who was first invited at the COP24 in Katowice, Poland and very recently in Davos, Switzerland. Unlike world leaders, Greta Thunberg does not mince words and boldly addresses the adults’ gathering fearlessly like a brave warrior. In Davos, Thunberg said, “I don’t want your hope. I don’t want you to be hopeful. I want you to panic! I want you to feel the fear, I feel every day. 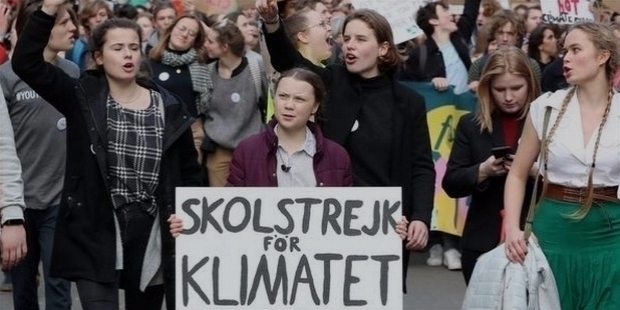 And then I want you to act.” Thunberg has continued her Skolstrejk for Klimatet every Friday in front of the Swedish Parliament. 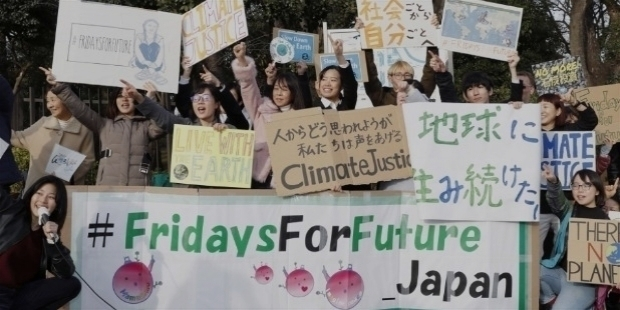 Her continuation has inspired the Fridays for Future Movement in various countries around the world. The UN Climate Science Panel’s Report of 2018 state drastic action is required, if we are to limit global temperature rise to 1.5°C above pre-industrial levels. During the strike, 17-year-young Sophie Sleeman of Exeter College in UK stated that all this is making the adults a bit guilty. This idea of teenagers has turned the spotlight on their teachers, parents and politicians. The children are demanding ACTION. DO SOMETHING! 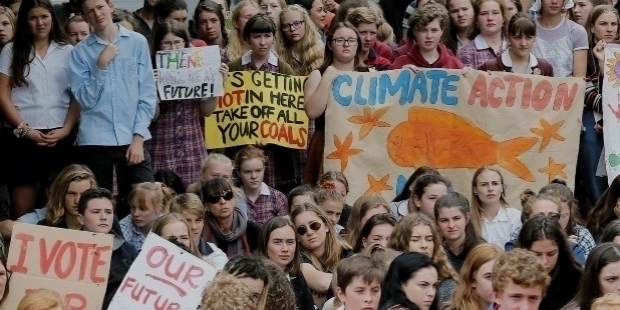 It is interesting to note that School Strike for Climate has involved younger children more than older teenagers. Greta Thunberg had disclosed earlier that she is suffering with Asperger Syndrome, OCD – Obsessive-Compulsive Disorder and Selective Mutism. She insisted her parents to become vegan and give up flying to reduce family’s carbon footprint. Her quest is still in its nascent stage and Greta is aware that they will have to keep going for a very, very long time before concrete action will be taken by the greedy world leaders. 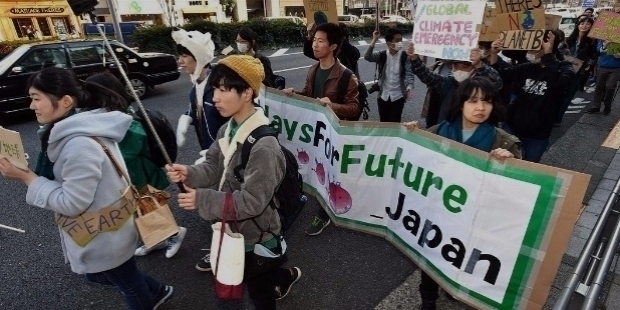 The March 15, 2019 marked the first Global Climate Strike march for Climate Change. The movement was started on the social network and the overwhelming response around the world has seen school children rising in 112 countries demanding ACTION. 20-year-young university student Xander De Vries from Sydney enthused that it was the students’ time to rise up, since they don’t have enough time left. He strongly feels they have to make the necessary change. The Stockholm’s Central Square saw students gathered in thousands to hear Greta Thunberg, who has been nominated by three Swedish lawmakers for the Nobel Peace Prize. She has become an inspirational icon for young students around the world. She is determined to make the global leaders to take mandatory actions to safeguard the future of the planet earth. As their wont, political leaders in various countries criticized the strike. Australian Education Minister Dan Tehan expressed, “Students leaving school during school hours to protest is not something that we should encourage.” UK’s Education Secretary Damian Hinds stated, “The disruption increased teachers’ workloads and wasted lesson time.” How pathetic and shameless can the adults be to issue such statements? Instead of encouraging their students to whom, they teach for being true to their nation’s progress, they are showing displeasure to save the earth. It was interesting to see UK’s Environment Secretary Michael Gove praising the efforts of the young students in a video message, unlike other leaders. He said, “Collective action of the kind you are championing can make a difference and a profound one. Together, we can beat climate change. It will require us to change the way, in which our energy is generated, change the way in which our homes are built, change the way in which our land is managed and farming operates. But that change is absolutely necessary.” In UK, more than 10,000 students gathered in London, Edinburgh and Glasgow at the March 15 School Strike for Climate. Change is surely coming, whether the adults like it not! The children are rising like the sea waves rising to demand attention of Climate Change from the world.